Singapore, 24 July 2017 – CapitaLand’s wholly owned serviced residence business unit, The Ascott Limited (Ascott), is acquiring an 80% stake in Synergy Global Housing (Synergy), a leading accommodation provider in the U.S. The acquisition will expand Ascott’s footprint in the U.S. and strengthen its extensive range of international-class serviced residences for corporate customers worldwide. It will also triple Ascott’s portfolio from over 1,000 units to about 3,000 units in the U.S. This acquisition is yet another move to transform Ascott’s global operating platform following hot on the heels of its investment in Quest Apartment Hotels earlier this month, which will leapfrog Ascott to become the largest serviced residence providers in Australasia. In addition to Global Solution Centres in Dublin, Ireland; Hyderabad, India and Singapore; Synergy has a strong foothold in the U.S., where it leases apartments from partners and property owners to rent to corporate clients. In particular, this investment will give Ascott an immediate presence and access to corporations based in Silicon Valley, which include high-tech powerhouses boasting achievements and influence that extend well beyond the San Francisco Bay Area. This transaction with Synergy is the latest of Ascott’s acquisition spree to scale up its global presence. In early July, Ascott announced its acquisition of a majority stake in Quest Apartment Hotels to become the largest serviced residence provider in Australasia. In May, Ascott’s real estate investment trust, Ascott Residence Trust, announced the acquisition of DoubleTree by Hilton Hotel New York – Times Square South, adding to its two properties in Manhattan – Sheraton Tribeca New York Hotel and Element New York Times Square West hotel. In the same month, Ascott acquired Hotel Central Fifth Avenue New York, which will be rebranded to Citadines Fifth Avenue New York in 2018. The Ascott Limited is a Singapore company that has grown to be one of the leading international serviced residence owner-operators. It has over 41,000 operating serviced residence units in key cities of the Americas, Asia Pacific, Europe and the Middle East, as well as over 26,000 units which are under development, making a total of close to 68,000 units in over 500 properties. The company’s brands include Ascott, Citadines, Somerset, Quest, The Crest Collection and lyf. Ascott’s portfolio spans more than 120 cities across over 30 countries. Ascott, a wholly owned subsidiary of CapitaLand Limited, pioneered Asia Pacific’s first international-class serviced residence with the opening of The Ascott Singapore in 1984. Today, the company boasts over 30 years of industry track record and award-winning serviced residence brands that enjoy recognition worldwide. Ascott’s achievements have been recognized internationally. Recent awards include World Travel Awards 2017 for ‘Leading Serviced Apartment Brand’ in Asia; DestinAsian Readers’ Choice Awards 2017 for ‘Best Serviced Residence Brand’; TTG China Travel Awards 2017 for ‘Best Serviced Residence Operator in China’; Business Traveller Asia-Pacific Awards 2016 for ‘Best Serviced Residence Brand’; Business Traveller Middle East Awards 2016 for ‘Best Serviced Apartment Company’; Business Traveller UK Awards 2016 for ‘Best Serviced Apartment Company’ and Business Traveller China Awards 2016 for ‘Best Serviced Residence Brand’. For a full list of awards, please visit www.the-ascott.com/ascottlimited/awards.html. CapitaLand is one of Asia’s largest real estate companies. Headquartered and listed in Singapore, it is an owner and manager of a global portfolio worth more than S$78 billion as at 31 March 2017, comprising integrated developments, shopping malls, serviced residences, offices, homes, real estate investment trusts (REITs) and funds. Present across more than 140 cities in about 30 countries, the Group focuses on Singapore and China as core markets, while it continues to expand in markets such as Vietnam and Indonesia. Founded in 1999 and headquartered in San Ramon, California, Synergy Global Housing brings a superior furnished housing experience to the business travel and workforce mobility industry; providing best-in-class serviced accommodations in more than 55 countries across the globe. Synergy has Global Solutions Centres in: Dublin, Ireland; Hyderabad, India; Singapore; and San Ramon, San Francisco, Los Angeles, San Diego and Orange County, California, Seattle and Washington.  Through people, passion and innovation, Synergy delivers boutique services, custom-tailored to meet each client’s individual needs, on a worldwide platform. To learn more, visit www.synergyhousing.com.